Sophia Maxim leashes are made of durable 100% nylon webbing, and the ribbon is woven with 100% polyester thread. Fashion should be easy to maintain: wash our collars and leashes on delicate and lay flat to air dry. 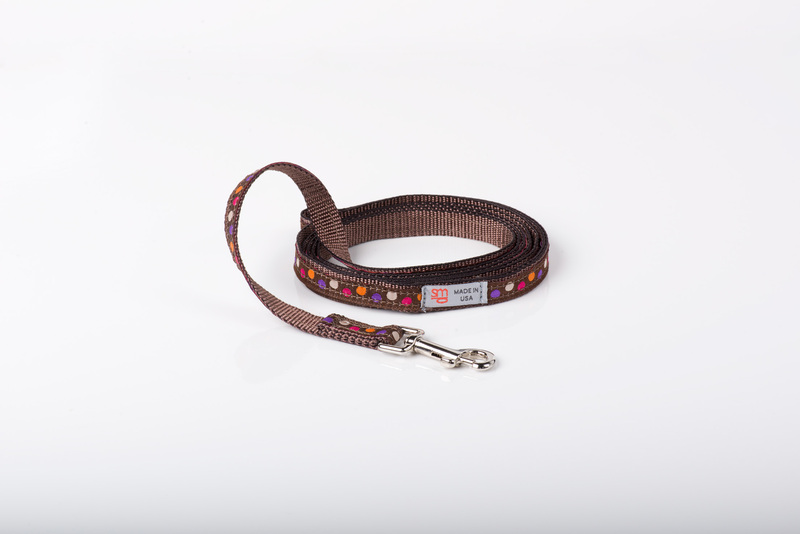 SIZE INFORMATION: Our Petite leashes fit dogs up to 11 lbs. Petite leashes measure 1/2 inch wide by 6 feet long. Our Small leashes fit dogs up to 30 lbs. Small leashes measure 3/4 inch wide by 6 feet long. Our Medium/Large leashes fit dogs up to 75 lbs. Medium/Large leashes measure 1 inch wide by 6 feet long.